Custom orders using one of our existing designs are the same price as stocked items. 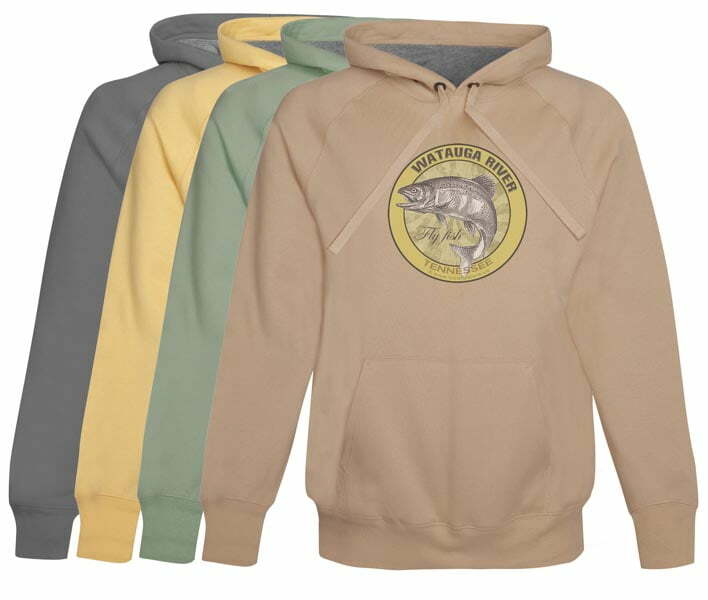 All original designs honoring over 1000 rivers and lakes, part of our American Rivers product series that includes: stickers/decals, coffee mugs, coasters, hoodies and t shirts. 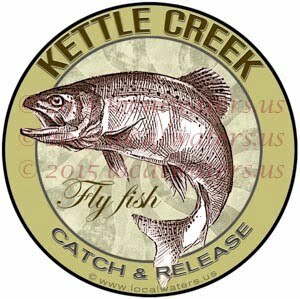 Custom Order Fly Fishing Coffee Mug Ceramic – standard size 11 oz. coffee mug. 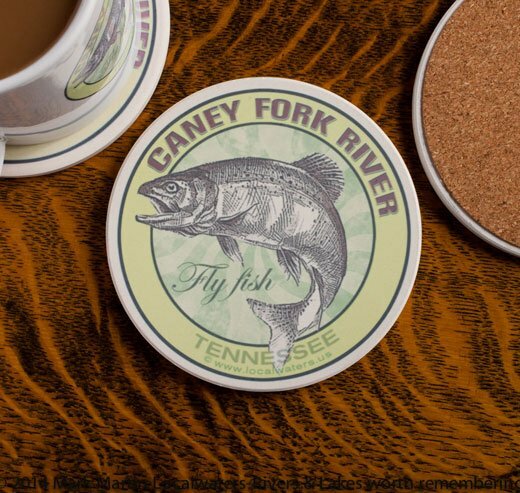 To order: complete checkout and include your river name and description of the design you want on your new mug in order notes. -Hard coated for a durable, glossy, easy to clean surface. 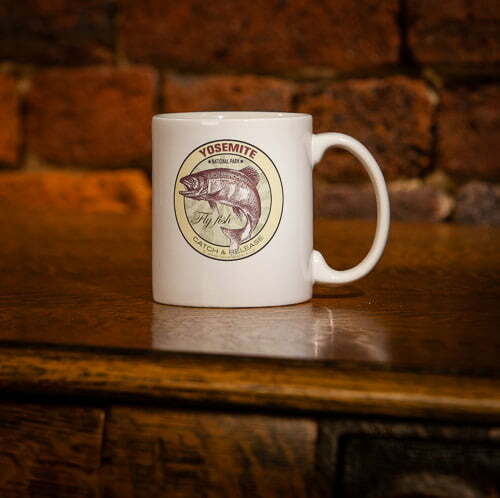 Each mug is custom made, production begins once you place your order. Please allow ten days handling, sooner when possible. 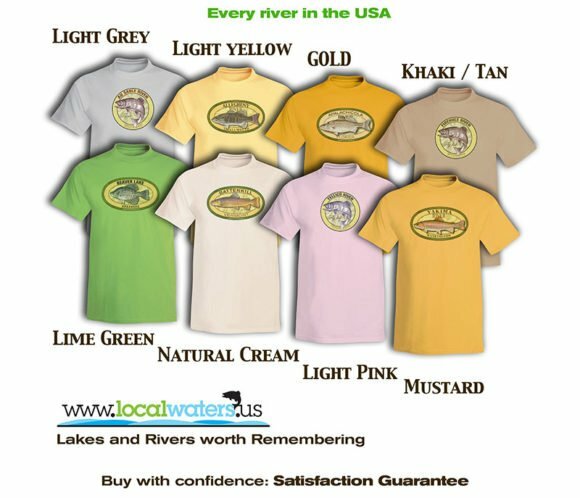 You can order ANY Localwaters product with ANY design! If you don't see a specific combination in the store, use the "custom" products below. There is NO extra charge for a custom order! © 2013-2015 Localwaters/Mark Martin. All Rights Reserved except where noted and attributed. Use contact form for fair use, licensing requests or information.